Today I’m overjoyed to reveal the simply stunning cover for Drake, by the very talented artist Chris Thornley – thank you Chris! You can check out the full cover reveal article over at Fantasy Faction, but right now I’m just floored by how cool this is. 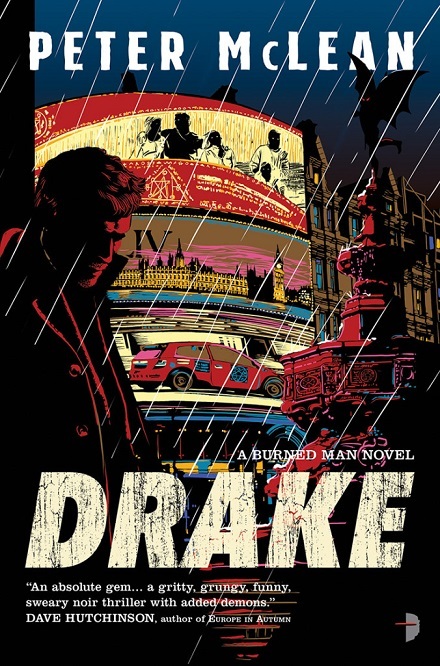 I love the cover itself of course, but finally seeing Drake come to life like this is something else altogether. It’s been a long time coming but I’m really starting to feel like a published author now! It’s still two months to the day until Drake is officially released but don’t forget you can pre-order now from Amazon, Waterstones and Barnes & Noble. ← Drake is available for pre-order! Oh that is NICE. Congratulations, Pete! !